My second favourite thing about getting to do this blog, the first being that I get to eat really tasty burgers, is that it takes me to new places that I have never been to before. This was the case with burger #26. 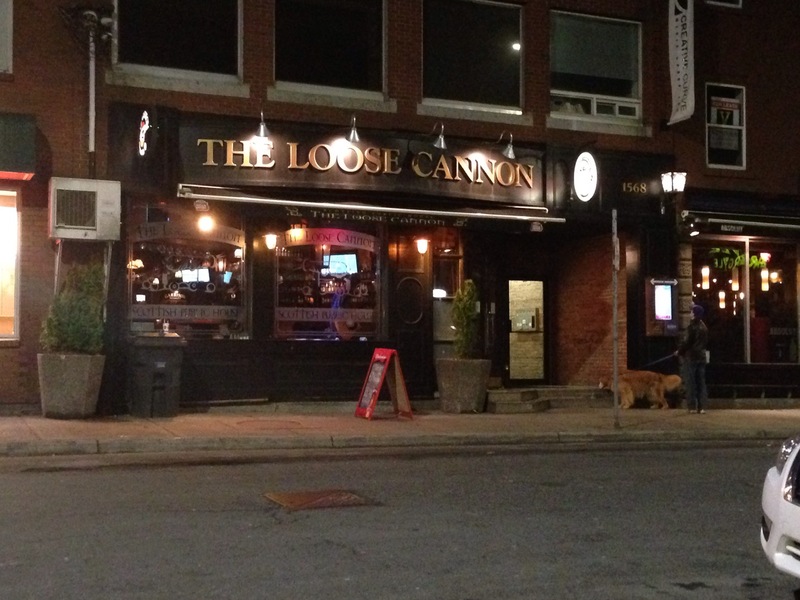 Located at 1566 Argyle Street, The Loose Cannon is a place that I have walked past numerous times, but never actually walked through the doors. Since they only have one burger on their menu, I knew I was going to be trying their Cannon Burger. One thing that I really liked about this burger was that it had a very simple and clean presentation. It didn’t try to go overboard with how it is displayed on the plate, yet it still looked very appetizing. I also really liked seeing the pickles actually in the burger and not just on the side or speared to the top of the bun. 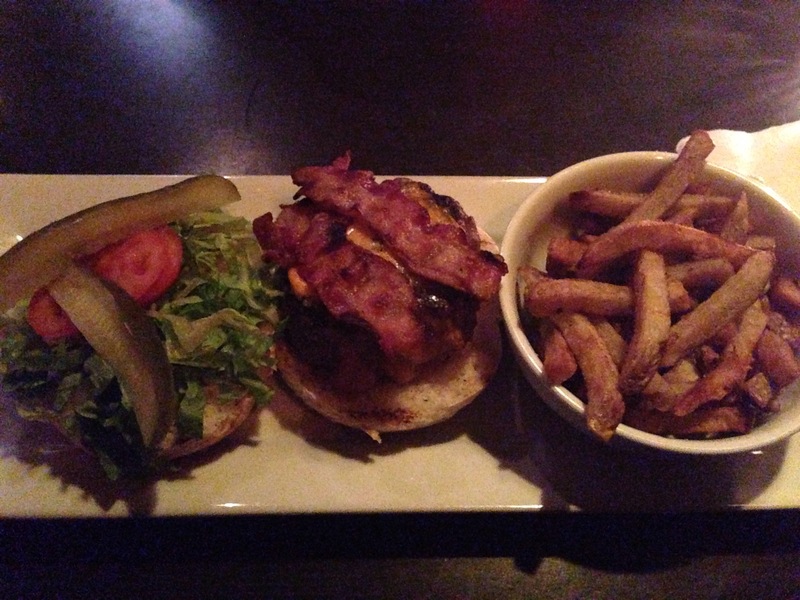 Apart from the toppings that were included with the burger, I also added bacon and cheese (because why not?). Within the first few bites I realized that this seemingly plain burger was actually pretty tasty. It had your standard burger toppings, but the taste was definitely not plain. The patty was pretty delicious and had some really nice flavours to it. 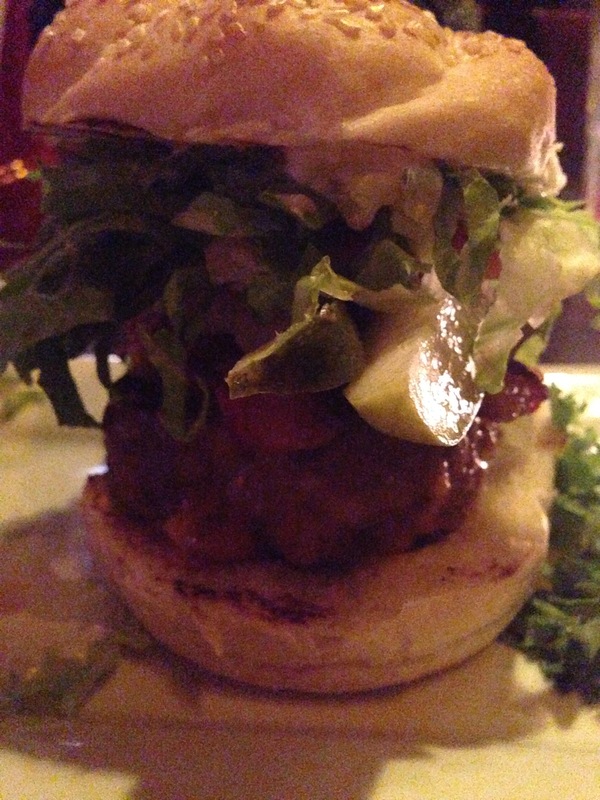 I was also a fan of the bun, as it was perfectly toasted, and it held together throughout the whole meal. I think my favourite part of this burger was the pickles. The majority of the burgers that I have had since starting this blog haven’t had pickles on them. This is completely acceptable for certain burger creations, but I can think of a few burgers that would be great with some pickles included (mind you, this is coming from someone who really likes pickles). When I went to The Loose Cannon, it was later in the night and open mic was happening. There wasn’t a bunch of people here at the time I visited, but those that were there seemed to be having a great time. My one (small) complaint was that it was kind of hard to have a conversation as it was pretty loud, but that is a very small negative as the atmosphere that the open mic created was enjoyable. Our waitress was great and friendly, and we had no issues with her. This burger cost me $11.99 (plus $1 each for adding the bacon and cheese). I am happy with this price, and there is nothing I can really say negative about it, as I received a good burger for a less than average price, when comparing it to other Argyle street burgers. As I said, I had never been to The Loose Cannon before so I wasn’t really sure what to expect. I’m glad I decided to come here, as I enjoyed my visit. The burger tasted great, and I would love for them to try their hand at creating another burger, but I also understand that it’s not exactly what they are known for. I would definitely recommend checking this place out if you haven’t already!